There are a ton of advantages to going digital. Such as not having to go outside (IT’S COLD!) as you stay safe and secure in your lair. But there are a ton of disadvantages to this system as well, depending on your bandwidth or dodgy line connection. Add pulled game redemption keys to that list of cons as well. Update: It seems that Green Man Gaming was incorrectly featured in this article, and are in fact an official retailer and not a third-party seller. 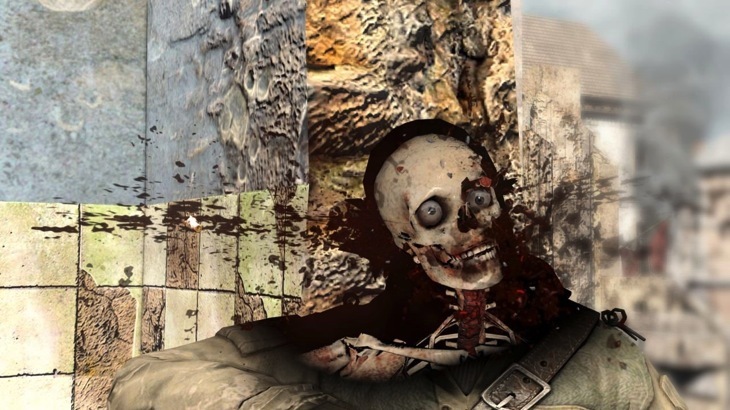 You can read more about how the alleged Sniper Elite 3 code story does not affect that retailer in a blogpost onPlayfire. 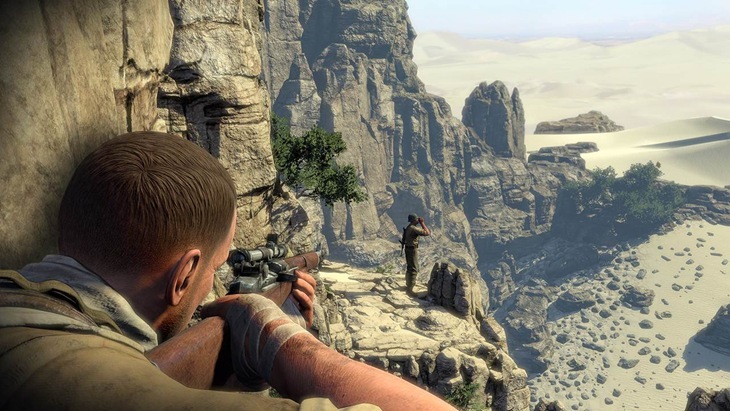 Were you getting ready to do some kraut control on PC this weekend, and found your copy of Sniper Elite 3 being verboten? Chances are, that might be because you purchased a Steam key for the game off of a third-party site such as Green Man Gaming or CDKeys, which Valve has pulled from their platform. According to Rebellion in a Steam Community post (via VideoGamer and VG247), a number of Sniper Elite 3 keys were stolen and then sold to these digital vendors which then led to Rebellion getting those pilfered keys to be revoked on Steam. Were you one of the unlucky marksmen who experienced this? Then Rebellion reckons that you better get a refund from whoever you bought your key from. To ease the entry wound, they’re also offering their pre-order bonus Target Hitler for free to those affected. Sounds crap, but fair. Naturally however, the internet has had a sh*t-fit and has now claimed that Rebellion is attempting to fix the price of the game as those keys that were sold outside of Steam and retail, were done so with a cheaper price-tag. “To clarify, one of our PC retail distributors informed us that some of their allotted Steam keys were stolen. We believe these keys were then resold to multiple companies, with no payments going to either Valve or the retail distributor,” Rebellion said in an update to address these claims. Steam were immediately informed and have now revoked that set of keys. As a developer Rebellion are happy for you to purchase the game anywhere you see fit and support price competition in the PC market – we have in no way targeted any specific vendors (who may have also thought these keys were legitimate), just this one set of keys. To be fair, most vendors have released refunds and replacements to gamers who were caught up in this alleged scandal, although some have also spoken out against Rebellion. Herein beginneth the drama. According to unaffected retailer CJS-CDKeys, whoever sold those keys to retailers had every legal right to do so, while Rebellion is stretching the truth in order to ring a few extra bucks out of their game. “While the term ‘unauthorised reseller’ bounces about the internet, the truth is that there is no such thing. Under the first-sale doctrine, the copyright ownership of a license key ends after the first sale (ie, from publisher to distributor),” the CJS-CDKeys post notes. This means that all legal entities (even members of the public) have a legal right to re-sell their license keys as they see fit. The developer has absolutely no legal right to stop keys being re-sold. The only requirement in law for re-selling virtual software / digital goods is that the original copy of the virtual item must be destroyed once copied over to someone. Of course, with Steam’s DRM system, the key can only be used once, so deleting access to the ‘original copy’ is not an issue. And on Steam as well , a poster who claims to be CEO of a parent company to two vendors is also unhappy, saying that Rebellion’s act is the “most underhanded tactic” ever seen by a publisher. This is a free internet where people have the choice to do what they like with something they just purchased. What [Rebellion is] doing here is against the Fair Trade Act 1973 and will be dealt with to the full extent possible in terms of claiming any losses and damages from Rebellion. All of our suppliers are officially licensed distributors yet [Rebellion has] the audacity to claim we are all fraudulent buyers and that everyone can only buy it from Steam for it to be legitimate. This is a complete fabrication and has no legal standing whatsoever. Every person or consumer has a right to purchase [Rebellion’s] game wherever they see fit if that company is buying [Rebellion’s] games legitimately and [Rebellion] cannot punish us or any other seller for selling [Rebellion’s] game if this is the case. Rebellion will most likely issue another press release soon to update on these claims, so stay impartial with this. 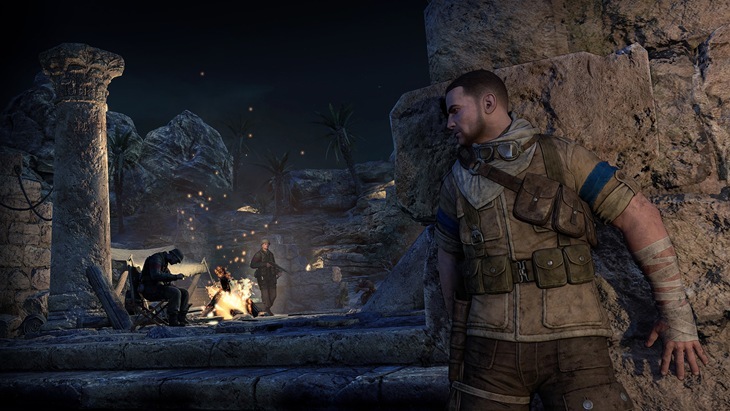 I’m busy playing Sniper Elite 3 for review, and honestly, it’s not a bad game at all so far thanks to its new emphasis on the Africa campaigns and horribly satisfying violence. And really, no matter who is wrong and who is right, we just want to play the damn game.